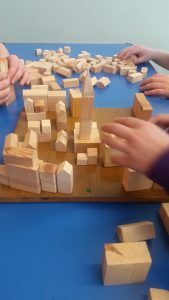 As part of the Year of Innovation, Architecture and Design 2016 and the Festival of Architecture, StreetsAhead Tranent explored children’s views and experiences of their local community and built environment; examining how these factors impact on children’s rights and wellbeing. 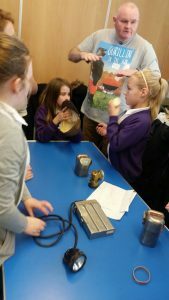 250 children from Elphinstone, Windygoul, St. Martin’s RC, Ormiston and Sanderson’s Wynd primaries participated in whole class workshops with a strong emphasis on creativity through an intergenerational and heritage theme. These workshops included inputs from local community members, urban designers, historians and wildlife rangers. 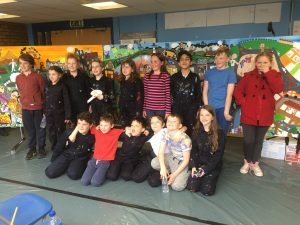 Following nine workshops, a small group of 16 children from across the five schools engaged in an intensive creative process that included visits to historical sites, including Prestongrange Museum, Seton Collegiate Church and the APOGI project, tours of Tranent High Street, and working with artists, drama facilitators and local professionals to create a mural reflecting the views of all 250 children who took part. 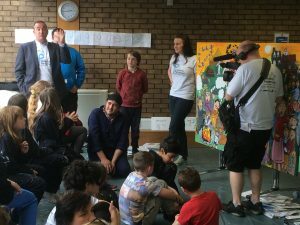 This project resulted in a 36’ x 4’ mural and a series of films that showcase the StreetsAhead journey, from classroom workshops through creation of the mural to a series of exhibitions and events that share StreetsAhead Tranent with community members and stakeholders. 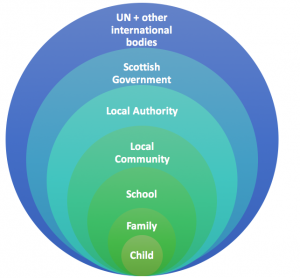 Due to the energy and commitment from stakeholders, StreetsAhead Tranent was invited to the UNCRC Day of General Discussion in Geneva. 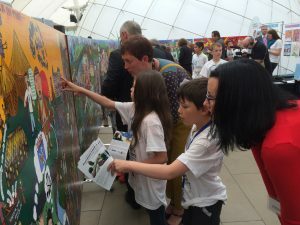 Children’s Parliament, the International Play Association and the Children and Young People’s Commissioner for Scotland (CYPCS) worked with Terre des Hommes to develop Under the Same Sky [www.childrensparliament.org.uk/under-the-same-sky], an international constellation of projects that shared children’s views on the environments in which they are growing up. This comprised projects from six countries – Mozambique, Australia, Palestine, Zimbabwe, Brazil and Scotland. 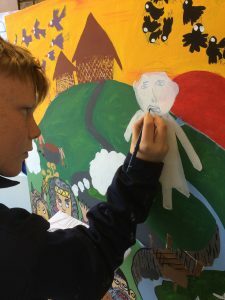 Initially, through support from Scottish Government and CYPCS, Children’s Parliament aimed to get the mural to Geneva and share a film from the project. 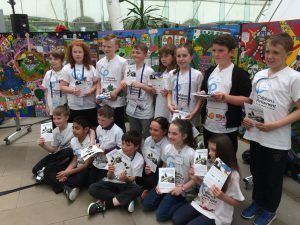 However, East Lothian Council and the Fa’side Area Partnership viewed this as an opportunity for increased attainment and raised aspirations for the participating children and contributed funds to allow the children to travel to Geneva to share their work directly with the UN Committee on the Rights of the Child and other children and adults from around the world. 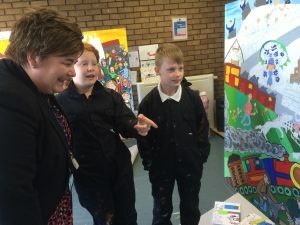 This was a huge honour for Children’s Parliament and we are so proud of the StreetsAhead children for all their hard work throughout this project. 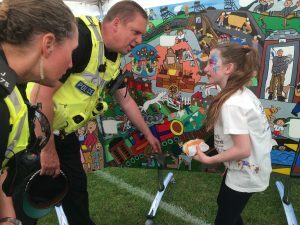 StreetsAhead Tranent demonstrates the possibilities for how children’s voices can be included in local and global dialogue, if adults are willing to invest the time and resources needed to create appropriate and supportive opportunities for children to engage, to listen to and value their contributions. 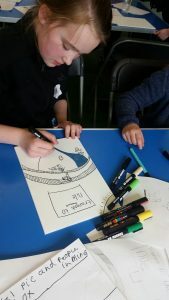 Children’s voices should have a ripple effect, influencing life in those spheres closest to them as well as the wider discussions of national and global significance. 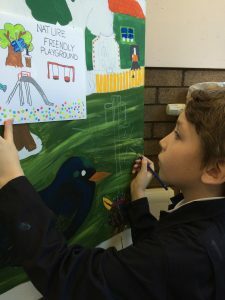 The mural is set to become a piece of public art displayed outside Ross High School, Tranent. 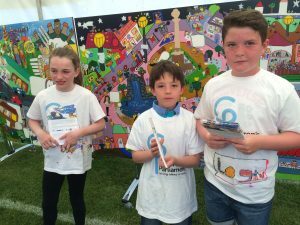 The children’s StreetsAhead Tranent Mural will be on permanent display at Ross High School, Tranent from 2017.